The most successful retailers focus on all of three of these areas instead of just one. 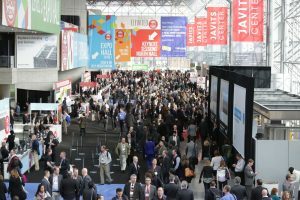 The NRF’s Breakout Sessions will focus on a single topic while their Keynotes will cover various topics. Guests will be given plenty of time to mingle and network. While the NRF’s opening night reception is somewhat formal, guests can loosen up at the EXPO Hall’s happy hours. The convention will also have daily lunches and breakfasts. The Annual Retail Industry Luncheon is one of the main networking events. This luncheon will also celebrate retailers for their innovation and achievements. Hundreds of retailers flock to the Javits Center. 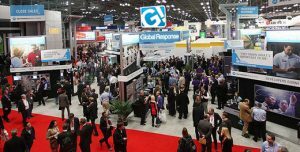 The NRF’s EXPO will display the retail industry’s most innovative technologies. Guests can also find effective retail solutions and tools in booths and BIG !dea sessions. The EXPO is located on Level 1 and Level 3 of the center. Registration is open to everyone. Guests can gain access to different areas of the convention and EXPO depending on their pass. – Full Conference Passes: include all educational sessions, networking, the Networking Luncheon, Motivational Lunch and EXPO. NRF and Shop.org members will be discounted. – EXPO-only Passes: is free to retailers, and non-retailers can buy one for a small fee. It is also available for the three days the EXPO is open.